It came into existence on 26th April 2001 . 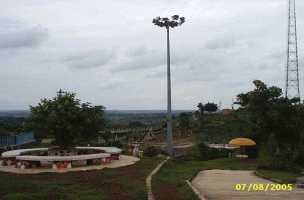 The small district of Jharkhand state comprises of only 4 blocks . It was created by carving out four blocks from DUMKA District. The district is located at a lower altitude of Chhotanagpur plateau and its latitude and longitude vary form 230-10' to 240-5' north and 860-30' to 870-15' east, respectively. Air:Nearby Airports are Kolkata, Ranchi. 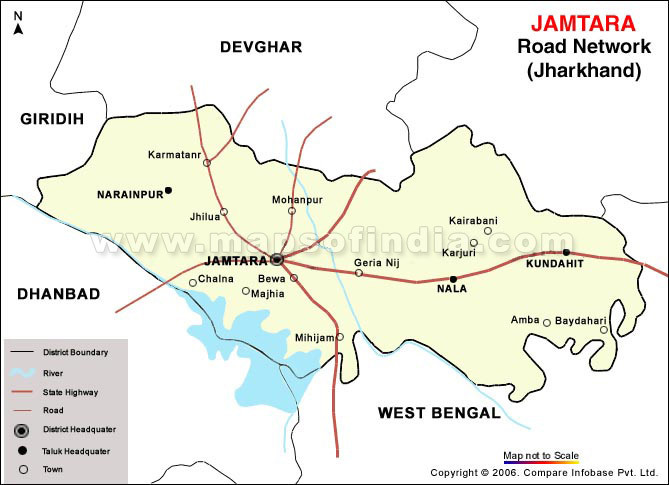 Rail:Jamtara is on the Main line of the Eastern Railway from Howrah to Delhi and there are two more Railway station in Jamtara District on the Main line of the Eastern Railway from Howrah to Delhi, One is Chitranjan and another one is Vidyasagar. Road:Passenger buses run regularly from Ranchi, Dumka, Deoghar, Giridih, Asansol, Chitranjan and other places in Jharkhand to Jamtara. Parwat Vihar Park: Parwat Vihar Park is Located 5 Kms away from Jamtara Railway Station. It is a favourite Places for Tourists who came to Jamtara. It attracts children's very Much. The sunrise and sunset from here is a charming scene. It is situated in the Northern Side of the Jamtara.